J. Kirk Dickie, M.D. earned a Bachelor of Arts degree from Yale University. Dr. Dickie earned his medical degree from Medical College of Virginia. 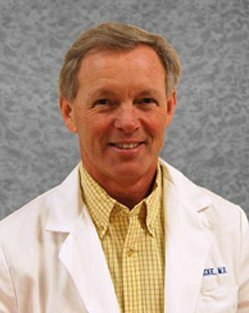 He completed his internship at Pitt Memorial Hospital in Greenville, N.C. and his residency at Charlotte Memorial Hospital and Medical Center in Charlotte, N.C. Dr. Dickie is board certified by the American Board of Emergency Medicine.